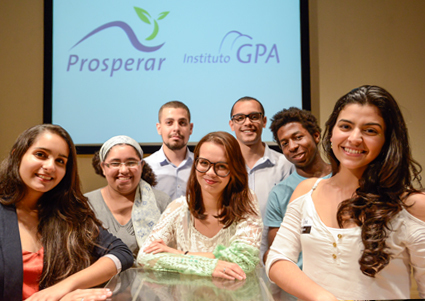 To ensure positive impacts on the communities surrounding its stores and businesses, GPA invests in social, cultural and economic actions on its own initiative or in partnership with other organizations through the GPA Institute, which manages educational, social and cultural actions targeting youth and children. Meanwhile, Via Varejo’s investments are made through the Via Varejo Foundation, whose efforts are concentrated in projects to reduce social and economic inequality in Brazil. Created in 1999, this is the GPA Institute’s oldest program, which offers at no charge musical instrument classes to children from ten to 18 years old who do not have access to such training. 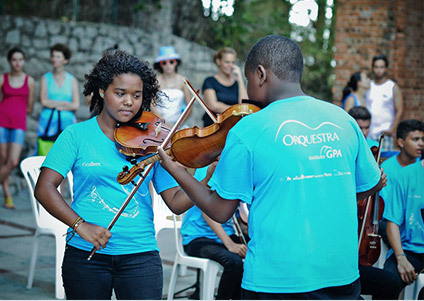 Students who excel in the two-year program are invited to join the GPA Institute Orchestra. 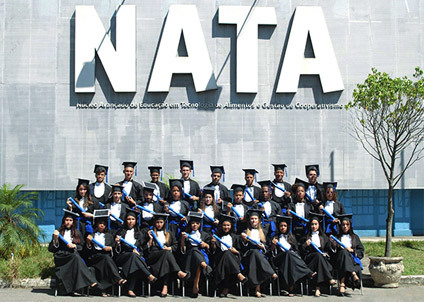 Developed in São Gonçalo, Rio de Janeiro, NATA offers technical high school programs in two fields: Milk & Derivatives and Baking & Confectionery. The result of a partnership between the Rio de Janeiro State Education Department (Seeduc/RJ), the Rio de Janeiro State Agriculture, Livestock, Fishing and Supply Department (Seappa/RJ) and the GPA Institute, the program combines the coursework of a high school education with career technical courses. The program serves students in a complex with 20 classrooms, two libraries (general and technical), four laboratories for microbiological and chemical tests and two pilot plants with equipment that allow students to apply in practice the knowledge they acquire in the classroom. GPA Istitute and NATA professionals also organize Panis et Lactis’ Technological Convention to update, present innovative technologies, provide the exchange of experiences and instruct on alternatives for the correct use of raw materials, ingredients, equipment and packaging, avoiding wastage and environmental impacts. The program Viva Neighborhood! organized by the Extra banner, aims to create and support social and environmental actions which involve communities surrounding stores, generating shared value and local development. The project criterions are to be developed at public spaces, to have results opened to communities participation, replying potential and implementation viability. The methodology consists in three main stages: identifying and immersion, communities people empowerment and implementation through public events. Targeting students without the financial means to go to college, the program offers four-year academic scholarships that cover registration, monthly tuition payments, textbooks and teaching materials, meals, transportation and housing assistance for non-São Paulo residents. 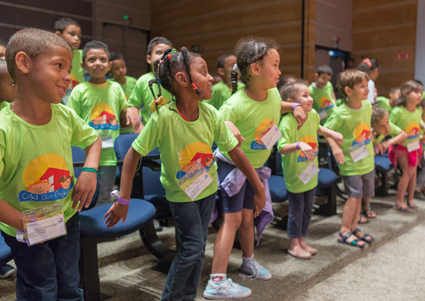 The goal of Solidarity Day, which is always held at the end of the year, is to raise awareness among the public on the problems of hunger and poverty in Brazil. 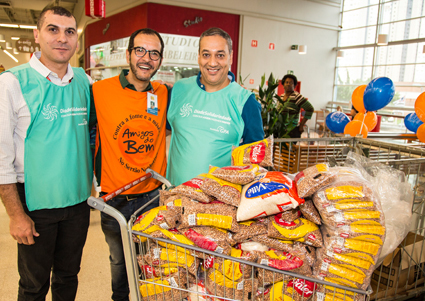 Pão de Açúcar, Extra, Assaí, Casas Bahia and Pontofrio stores participate of the initiative to collect non-perishable foods, which counts on volunteers and GPA employees. To encourage the Group’s employees to participate in volunteer actions, campaigns are conducted over the course of the year, such as Solidary Easter and Solidary Tree during Christmas. The former consists of donating Easter eggs to children from underprivileged households, while the latter is a drive to collect donations of toys, clothing and footwear for needy children. Yunus Brasil’s objective is to aid in creating new social businesses or developing initiatives that are already in the market and would like to receive support to accelerate their growth. 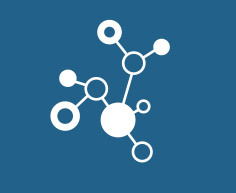 The entire incubation and acceleration process is free for those selected and has the institutional support of Casas Bahia, through the Fundação Via Varejo. The organization promotes community development in more than 20 countries. One of its activities is the construction of emergency homes and expanded one community garden, involving volunteer labor. Via Varejo Foundation supports the initiative through Casas Bahia, promoting volunteer participation of its employees. To create opportunities to introduce youth to the formal job market, youth are trained by the SENAC as administrative assistants, and are referred after the course for first employment opportunities. The virtual learning platform outlines a personalized study plan for users to prepare for the ENEM National High School Exam and overcome gaps in their preparation in the different school disciplines. The portal is quite dynamic and interactive, permitting a comparison of responses and various exercises. Through Pontofrio, the Fundação Via Varejo reinforces communications so that Via Varejo employees get to know and utilize the platform. The NGO, a pioneer in digital inclusion in Brazil and Latin America, acts in partnership with Pontofrio, through the Fundação Via Varejo, in the CDI Mobility project, which trains adolescents to develop content for applications for cell phones that can be used as tools to resolve social problems in the communities where they live. In 2015, Casas Bahia launched an online financial education platform. The proposition of the platform, which was developed in partnership with the site Catraca Livre, is to highlight inspirational and educational actions that help people improve their financial health without foregoing quality of life or realizing their dreams. The site is divided into categories on entrepreneurship, health, leisure, culture, managing personal expenses and other topics related to finance and low-cost quality of life. Also included under this umbrella concept of Social Consumption (consumption that is sustainable and acts with responsibility for the planet and people’s wallets) is an educational platform that originally was called Friends of the Planet – Digital Inclusion (Amigos do Planeta – Inclusão Digital). However, recently the platform expanded its offering of courses and changed its name to Learn & Transform (Aprender e Transformar).